I’m looking at the new cabinet pronounced by President Mnangagwa and I am astounded by the celebration that people have expressed for the incumbent Minister Of Finance. As I engage with Zimbabweans, most punt the qualifications of the man who they believe is the economic savior and blue-eyed boy of the new cabinet because of his Westphalian credentials. A cursory look at his qualifications could easily impress one who doesn’t fully understand the system that is latching onto Africa and sucking its lifeblood. in America and Australia, chattel slavery and colonialism under the guise of free market economics. The same institution is where Professor Ruskin motivated jingoists and Freemasons like Cecil Rhodes to go out into the world with racial prejudice and expropriate resources in order to civilize inferior races under the umbrella of British paternalism. The likes of Ncube are the direct product of Rhodesian civilization and are ideal Askari candidates. Till today, this same institution [Oxford and its Oxbridge ilk] has been instrumental in maintaining the dominance of London as the world’s center of capitalist exploitation and colonialism. Through western-centric ideas, institutions, and systems, Oxford has established a network of alumni and secret fraternities to maintain Westphalian, Anglo Saxon control of resources, while destroying parallel civilizations, crippling non-European competition and perpetuating monopoly on the financial system. Sadly, as one of Africa’s most decolonized nations, Zimbabwe has taken a product of “The Colonial Institution” and put him as head of the treasury to take us back to a bygone era. God have mercy on our nation. We have put a man equipped to institute mechanisms that benefit Anglo Saxons at the expense of most other peoples and in particular his people [Africans] as our exchequer. This is a man trained in the use of mechanisms like accounting and its internationally standardized double entry system. A system of selectively focused cost accounting based only on value inflow and outflow in the confines of the juristic [business] entity, at the exclusion of the value chain and environment from which it extracts value. Leaving untold, unaccounted deficits, value destruction and loss along the value chain. It’s an accounting system that emerges from an era of European charter companies extracting wealth from slavery, colonial exploitation and pillage. One steeped in corruption and immorality that goes against the equitable values of quid pro quo for the unilateral profit of Anglo Saxons. It’s the accounting system that enabled the queen to knight the first global drug barons, the Sassoon family to peddle opium to China on royal charter. When that lucrative illicit trade was eventually shut down by China, the British government imposed war on China to ensure unmitigated access to her market to destroy her economic dominance through addiction [free trade] as they called it at the time of war. The reason this system of accounting still prevails is because the source from where resources are extracted are usually far removed from resource-poor London. This means that Brits can exercise blindness to the deficit, destruction, and loss left at point of extraction. Their only focus being double entering monumental value addition in their asset column at minimal investment in liabilities. Complimenting this Oxbridge accounting system is the selective property rights that were vested in the discriminatory, paternal civilizing mission of primitive accumulation. In this double entry accounting system, the balance sheet gives recognition to a juristic entity’s right to own and quantify property at true value on its books but not prior. When translated into international contractual law, greater recognition is given to the property rights of companies over people [natives] whose environment and resources are expropriated without full cost accounting or compensation for value destroyed or extracted by juristic entities. This means cost to natives and their environment is never amortized or restored because for some reason double entry accounting and international law do not recognize native rights to property, value or well being. Value only seems to exist in the books of the juristic entity even though ironically in corporate strategy, environment is a critical factor recognized as capable of impacting a business and its stakeholders as happened during Zimbabwe’s land reform. Nevertheless, to show that the double entry system was tailored for exploitation of third world centers of extraction. Contrary to this system, global banking which is controlled by London has multiple entry systems enforced in the entire network of global banking through the know your customer FICA requirements. This system, in direct contrast to the double entry system of other sectors, is a multiple entry system, accounting for where value originates before its added. The purpose of this system is for Brits to control, monopolize and monitor the supply of fiat money for their uncontested profit. This ensures scarcity of fiat paper, mitigates against theft and loss of value from European centers and unwanted flight of value to third world centers. The same is the design of the blockchain system where now European capital seeking to protect its primitively accumulated wealth held in a variety of asset. Through this system, the intent is to digitize ownership of accumulated capital in a multiple entry blockchain ledgers. In this modern digital ledger that records ownership and title of assets. There is a system of multiple entries where the source of the assets and payment means is maintained to establish legitimacy and protect title. Now that European wealth holders have successfully distanced their exploitative, primitive accumulation from the third world centers where it originated through double entry over the years. They now want to safeguard their ill-gotten gains with a new form of verifiable, multiple entry ledger that selectively starts keeping records after the fact of primitive accumulation. The final tool used in the colonial financial system is economics: the science of making abundant resources (usually found in the resource-rich third world) scarce through European institutions, laws, and systems that ensure the resources are put into European hands for control and rent seeking. This is epitomized by gold prices being “made” [set] by the exclusive group of the LBMA [London Bullion Market Association]. The market consists of an exclusive group of private western banks manned by Ivy League and Oxbridge alumni. Supposedly making the market in what is meant to be a free market commodity. How then is it a free market where only JP Morgan, HSBC, UBS, Barclays Bank, Scotia Bank and Deutsche Bank preside in secret, in the absence of bank’s of the biggest gold buying nation: India or the biggest gold producing nation China. The same is the case in the LPPM [London Platinum and Palladium Market (Fixing Company Limited)] where BASF, Standard Chartered, Goldman Sachs and HSBC sit to set prices of Platinum group products in the absence of the rest of the world or at least the biggest producers of platinum themselves. These are the unilateral western systems that prevail over the world and these European systems of exploitation are the institutions to which my finance minister is servant. colonial administrator has what it takes to redeem our nation from the neo-colonial warfare it find’s itself. How? This is a man who thinks it’s prudent for our nation to dump one paper currency for another worthless paper just because it’s controlled by the privately controlled Rothschild Federal Reserve. To facilitate the quick and easy externalization of foreign corporate profits from Zimbabwe to their western centers without mitigation of extraction deficit. In turn, the nation and its businesses will then be left with the option to borrow from the IMF and other international banks to mitigate the deficit and damage. Is He Qualified For The Job? How can such a colonial administrator liberate my nation with the tools of colonialism with which he is endowed? How is a man trained in double entry accounting and economics going to stop giving access to our economy to FDI that always leaves a deficit in our extraction center without quid pro quo value creation? 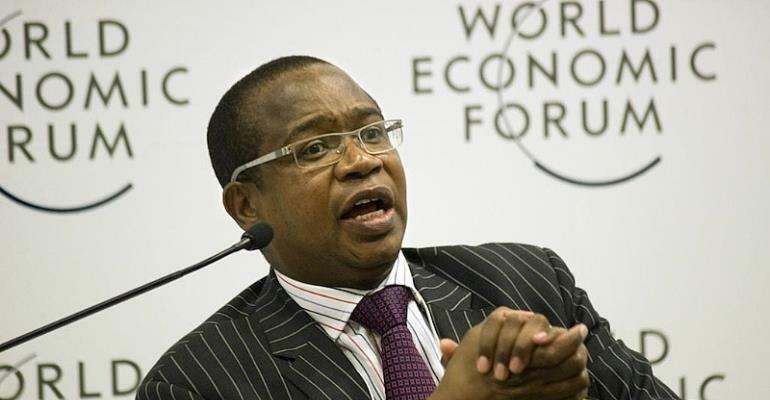 How is he going to ensure that all investors in Zimbabwe pay a full cost for all previous injury to the economy of Zimbabwe such as externalizations, double invoicing or transfer pricing? How is he going to measure value at extraction point when value at resource source in accounting and economic terms is measured in colonial terms and not terms beneficial to the center of extraction? I don’t feel my finance minister is competent enough to manage the finances of a nation in the endeavor to decolonize and meet its ICESPR aspirations. The fact is the manual on how to successfully decolonize and administer an African economy into success is not found in an Oxford library. In fact the book is yet to be written. While using any of the existing Ricardian, Schempter or Adam Smith economic theories steeped in charting the path for their European economies will never suffice for Africa. Africa needs a new creed of creative financial managers who challenge the prevailing hypocritical theories of accounting and economics. Not the stale minded colonial zombies coming off the conveyer of Oxbridge or Ivy alley. To a great extent, we are better off with a non-economist managing our finances than someone who was trained to make our resources scarce for the perpetuation of colonialism.